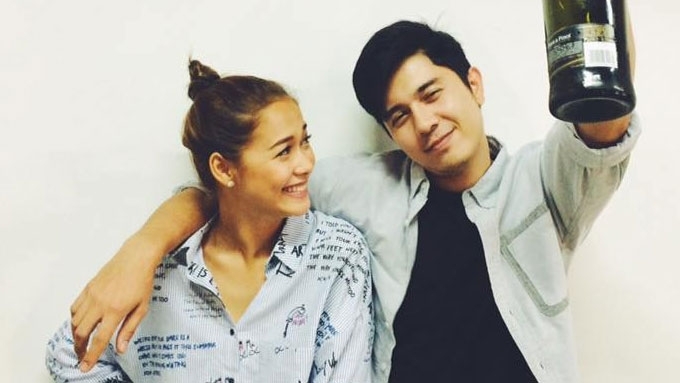 Maja Salvador will be reunited with former Bridges of Love co-star Paulo Avelino in the indie movie I'm Drunk, I Love You that will hit cinemas early next year. 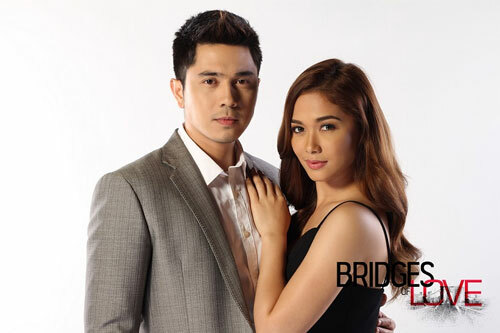 Fans of ABS-CBN stars Maja Salvador and Paulo Avelino are in for a treat. During the actress’s concert dubbed as Only Maja at the Music Museum, the pair dished out details about their upcoming project, the indie film titled I’m Drunk, I Love You. Though the issues weren’t clear, he continued that “dapat by this time, nasa sinehan na kami. 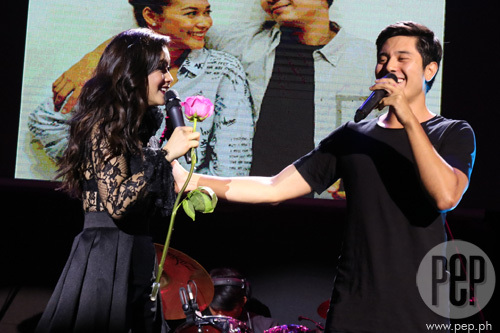 Aside from performing the film’s theme song “Huling Gabi” for the first time, Maja and Paulo treated guests to an exclusive two-minute teaser video. Co-written and directed by JP Habac, the film shows the story of two college best friends who went on one last road trip where they settle how they really feel for each other. Paulo's character is named Dio and he has been Carson's best friend for the pastseven years. Maja, on the other hand, described the film as “very millennial. “Parang ikukwento dun parang ilang araw lang yung pangyayari, dun sa storya pero sa isang linggo o apat na araw na yun, malalaman niyo yung kwento ng puso ni Carson. She added, “kwento nga ng lahat ng babae, na minsan nabigo sila sa kanilang pag-ibig. “Yung ga-graduate na pero di pa din siya nakaka-graduate dun sa puso ng minamahal niya, parang ganon. On the “kilig moments,” the actress does not want to disclose too much. Instead, she assured that, “maski ako kahit nagawa ko na yung pelikula, excited akong mapanood. Kasi gusto kong mapanood yung kwento nung Carson, noong character ko. Has she experienced the same fate like her character in the film? Though the film is still currently in production, Paulo and Maja are expecting their project to hit the big screens early next year. It can be remembered that they first starred in Bridges of Love in 2015 along with Jericho Rosales. In the said ABS-CBN teleserye, Maja played Mia Sandoval while Paulo played Carlos, the younger brother of Gael (Jericho).